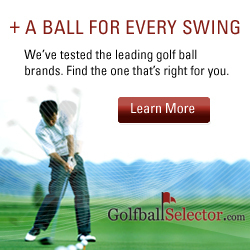 You are currently browsing the articles from AskTheClubmaker.com matching the topic Products. I have a Wee Scot Putter from either the 60’s or 70’s it is like a mallet, round back, centerline groove on top, brass or similar material with a black hard rubber face insert. I have found what I think is the Mfg. Co. out of Montgomery, AL through research. Any info would be great. Thanks. Sorry. I have no knowledge of this putter. July 16th, 2014. Read more articles on Products. What groove shape does my Tommy Armour 845’s oversize irons have? I bought them used and want to re-cut the grooves. It’s difficult to tell but they appear square. I think these are a 1998 model. You are correct that they are square. May 3rd, 2014. Read more articles on Products. Can the insert on the back of the 2009 TaylorMade Burner irons be replaced? You have to send them to TaylorMade, but they should still be able to be replaced. December 8th, 2013. Read more articles on Products. I just received a set of Wilson Staff Fat Shaft Irons from my Dad who recently passed away. The set has graphite shafts, is like to know how much it would cost to have them reshafted with steel stiff shafts and have them custom to fit me? Please help me with any information you possibly can. Thank you. The Fat Shaft irons were not all that well received. As a result, replacement shafts for them are not readily available. Thus, switching shafts is not a viable option; even if it were, there are better playability options available today than the Fat Shaft irons. August 20th, 2013. Read more articles on Products and Reshaft. Hi Jeff, Gary, I just reshafted my Titleist AP2 irons . I noticed that Titleist uses a ferrule that fits inside the club head, will this effect anything? I put a traditional slip on ferrule. Drying now hope it don’t. LOL . Thanks guys. Regular ferrules will work fine. March 15th, 2013. Read more articles on Products.